The layer ordering system in Harmony saves time and simplifies your work. 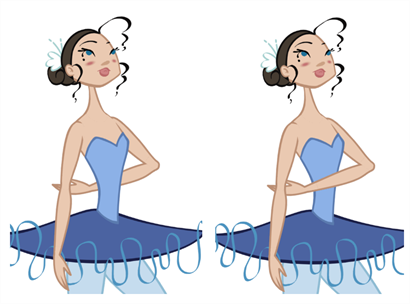 There is no need to create a new layer or copy and paste artwork into other layers to change the order. The Z-axis (forward/backward) allows you to create a multiplane and move elements closer or farther from the camera. This allows you to move the puppet’s pieces in front of or behind other ones without physically changing the layer position. Harmony provides you with a shortcut to move the piece with a micro nudge on the Z-axis. 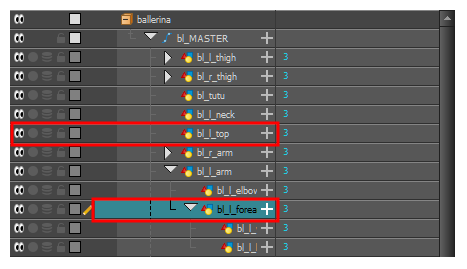 A keyframe is created where different Z values can be entered. This allows the piece to move forward and backwards in space without requiring you to change the drawing’s original position or break the layer hierarchy. This also means that the layer ordering is maintained throughout the scene. 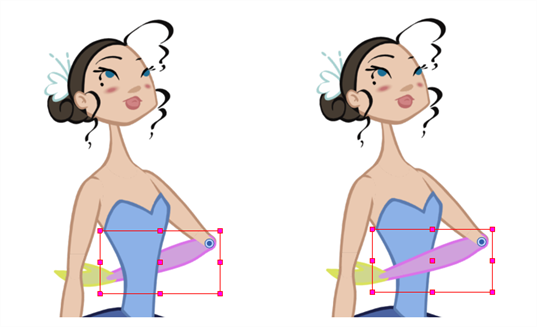 You can combine animation assets so Harmony can interpolate them. In the Tools toolbar, click the Animate button. In the Camera view, select the part to be repositioned and hold down the Alt key. Using the Up Arrow or Down Arrow arrow keys, nudge the part until it moves to the desired position.